INSION GmbH, located in Heilbronn/Germany, focuses on the development and production of miniaturized spectral sensors and spectrometers for OEM-integration in diagnostic instruments and analytical applications. Our core market segments and product applications are: biomedical diagnostic, point-of-care diagnostic, clinical analyzers, color and light measuring, fluorescence & Raman devices, process inspection for food and pharma, agrotechnical sensor systems and brand protection. INSION features micro spectrometers based on a monolithical optical waveguide. The micro spectrometers are extremely robust against harsh environments like mechanical shock, vibrations, temperature, humidity and dust. The products are very cost-effective. Due to micro-injection molding manufacturing process the INSION micro spectrometers are perfect for high volume production by having minimal manufacturing tolerances. 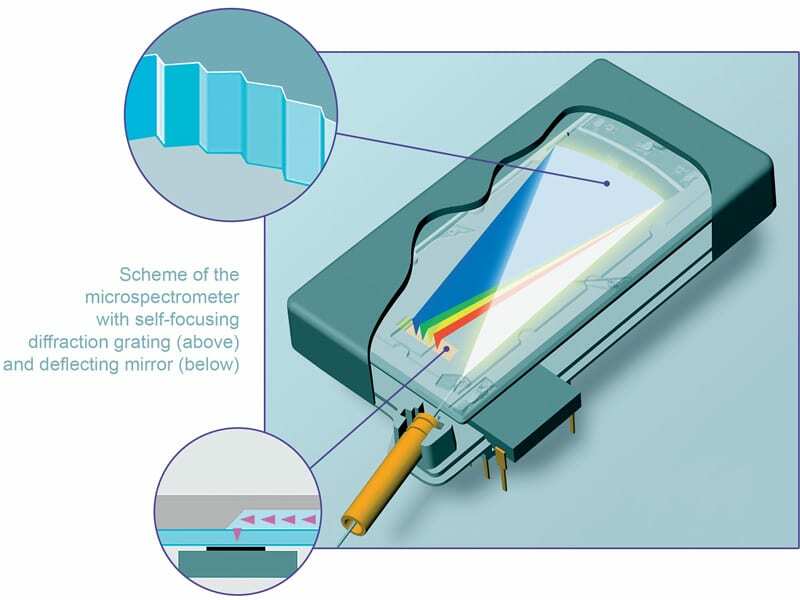 We provide spectrometers for the UV/VIS range, but also for the NIR range (from 200 nm up to 2000 nm). We deliver design and production services starting with basic design work, feasibility studies and consulting for the final product of our customer ‘s throughput production processes and life cycle management. As an application development service, we offer support for spectral analysis and chemometric.